Alison entered the army at the age of twenty and was sent immediately to Barbados. He served in Nova Scotia and Malta before seeing active service in the Crimea in 1855. He was mentioned in dispatches and was made brevet major in 1856. Having been posted to India in 1857, Alison was injured at Lucknow, and for several years was invalided out of the service. In 1882 Alison left England to command a force which was assembled at Cyprus to secure the Suez Canal. After the surrender of Cairo he was in command of the British force in Egypt until 1883. 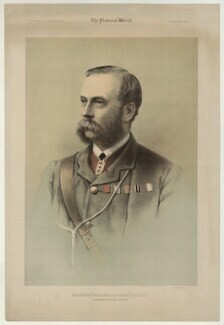 Alison was promoted to general in 1889 and he retired in 1893.